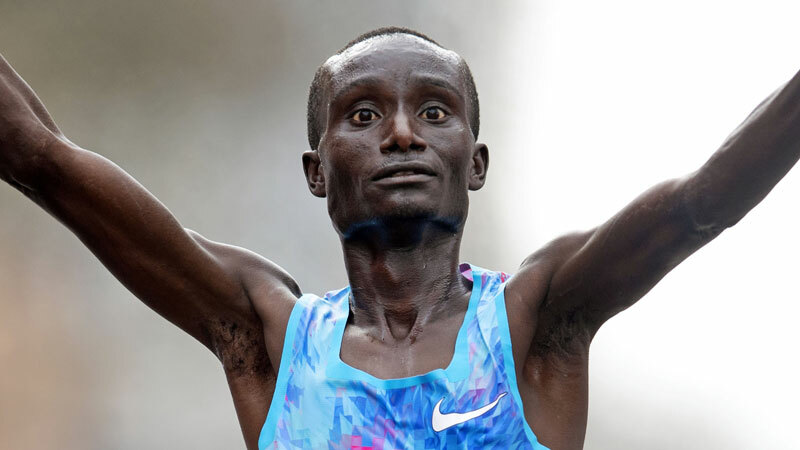 Following up on his victorious marathon debut in the 2018 Rotterdam Marathon (2:05:44), Personae-managed Kenneth Kiprop Kipkemoi selected the Chicago Marathon as his next attempt over the distance. 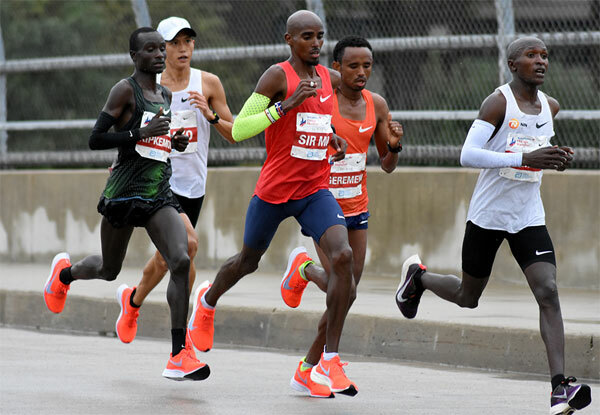 Despite sub-optimal conditions that featured heavy rain during the second half of the race, the assembled world-class field produced a number of national and area records. Always positioned near the front of the race until the closing kilometers, Kipkemoi was in the lead group of 12 runners who passed the half marathon mark in 1:03:03. 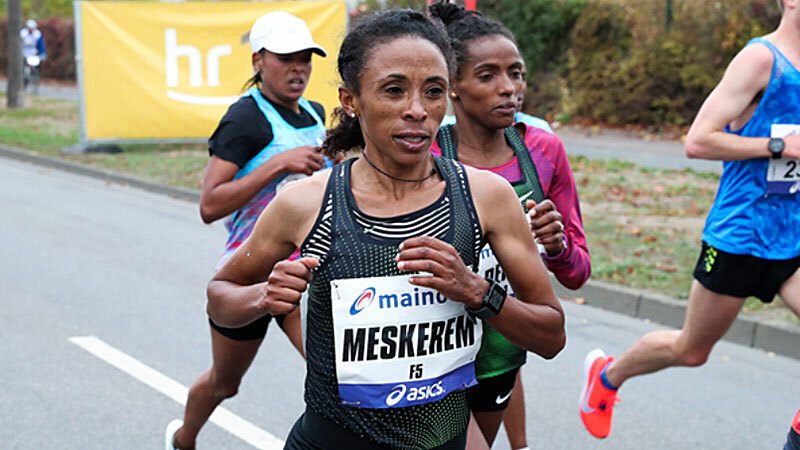 This group was subsequently reduced to 7 at 35 km (1:29:43), consisting of Kipkemoi, Mo Farah (PB 2:06:21, '18 London), Mosinet Geremew ('18 world no. 2 with 2:04:00 in Dubai), Galen Rupp (defending Chicago champion), Birhanu Legese ('18 world no. 7 with 2:04:15 in Dubai), Suguru Osako and Geoffrey Kirui. 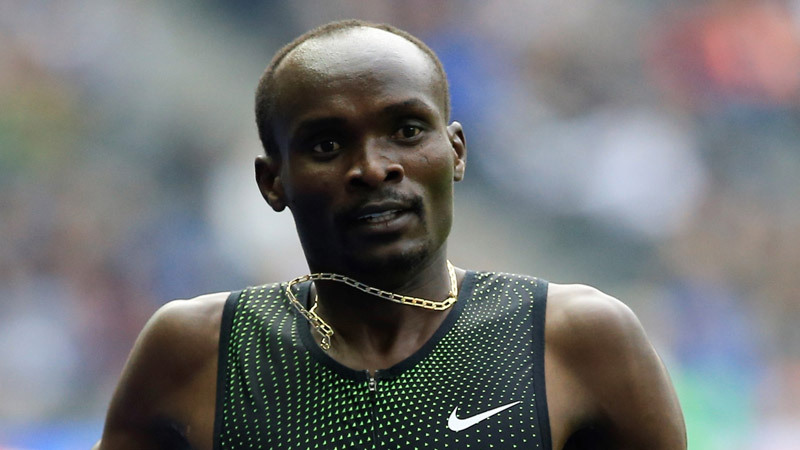 Farah then surged decisively between 35 km and 40 km, eventually winning in a new European Record of 2:05:11 ('18 world no. 10), ahead of Geremew in 2:05:24. Behind the top duo, Kipkemoi and Osaka were in a tight battle for 3rd, with Osaka pulling away in the final stretch to finish 3rd in a new Asian Record of 2:05:50 ('18 world no. 14), closely followed by Kipkemoi in 2:05:57, just 13 seconds off his PB from Rotterdam ('18 world no. 13). Defending champion Galen Rupp finished 5th in 2:06:21. In other road action at the Singelloop 10 km in Utrecht on 7. October, Personae-managed athletes swept the men's top-4 places, as well as winning the women's competition there, all in world class times. 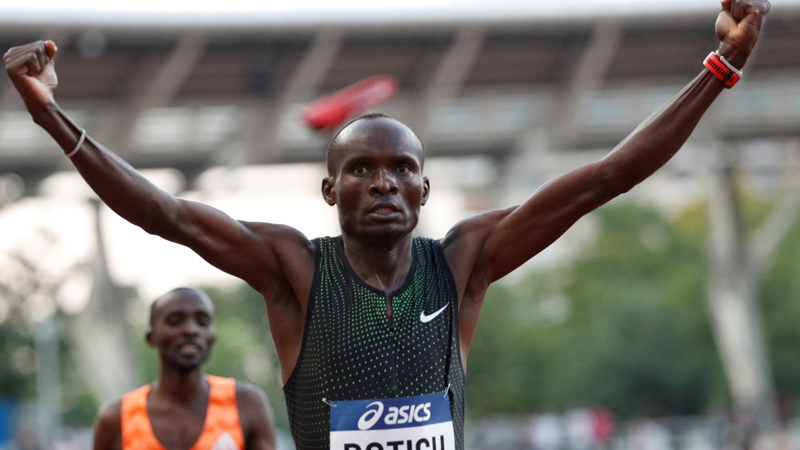 Men's champion was Davis Kiplangat in 27:24 PB ('18 world no. 5), followed by Emmanuel Gniki in 27:37 PB ('18 world no. 8), Isaac Kipsang Temoi in 27:40 PB ('18 world no. 11), and Albert Rop in 27:44 PB ('18 world no. 13). The women's champion was Eva Cherono in 31:17 PB ('18 world no. 10). Picture source: Track & Field News (photo by Sean Hartnett).